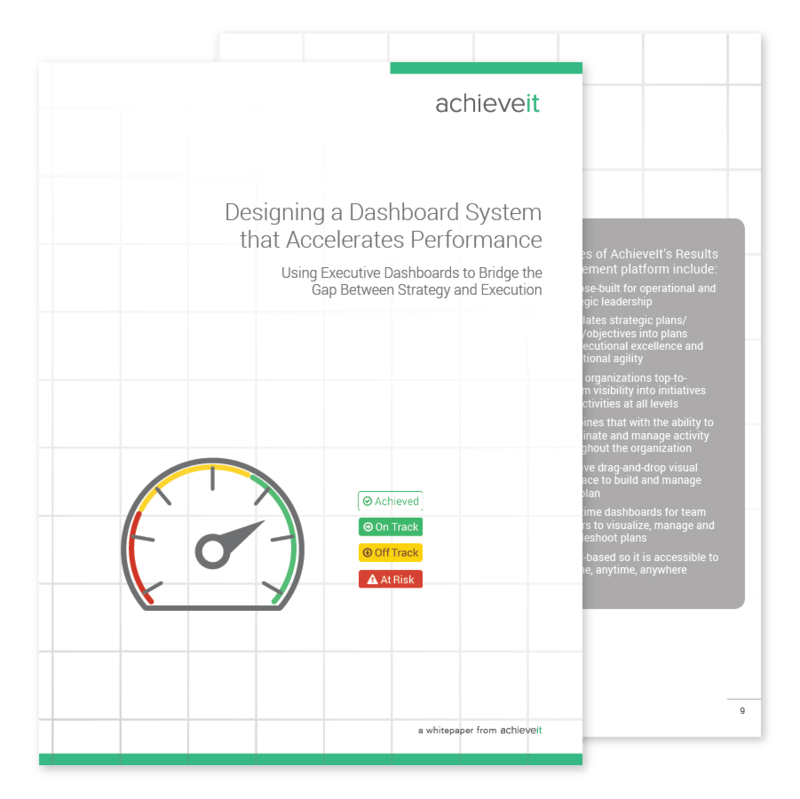 Download this white paper, Designing a Dashboard System that Accelerates Performance, to gain a better understanding of how dashboards, when built correctly, can be used to bridge the gap between strategy and execution. Although dashboards alone don’t drive results, they enable management teams to make informed decisions and to accelerate the results by creating a culture of visibility and elevating accountability. However, many organizations fail in dashboard design and implementation because of three very basic reasons. Three dashboard secrets of high performing organizations. Steps to right sizing your dashboards. How to convey your most important information within your dashboards. Best practices for driving execution and accountability.